One question remains in minds of many medical cannabis patients: “what is the optimal ratio of cannabinoids for my needs?” The answer, like many questions in the world of medicine, is still being researched. Research on the benefits of tetrahydrocannabinol (THC) and cannabidiol (CBD) in isolation is well established. 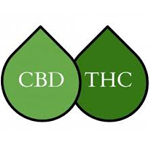 THC demonstrates analgesic, anti-emetic, and anti-inflammatory properties, whereas CBD possesses anti-psychotic, anti-seizure, and anti-anxietyproperties.